In this interview clip architect Michael Sorkin says "This global warming thing is real. Storms are getting more frequent and more energetic. The seas are rising and I think we have to address this in a drastic and urgent way." The interview took place shortly after Hurricane Sandy had struck. Michael Sorkin talked about addressing the risks by building "hard systems and softer, more natural systems" - and the importance of looking strategically about where we build in the future. He explained that both Hurricane Sandy (2012) and Hurricane Katrina (2005) had been anthropogenic disasters. A lot of the damage was caused by the way people had altered existing conditions. In the case of Manhattan he says that "Lower Manhattan was progressively filled in, starting with the Dutch in the 17th century. And the zone that was in greatest danger in lower Manhattan was in fact the land that was artificially created." In the case of New Orleans - it had been historically protected by wetlands that were successively removed. Sorkin urges for decision makers to rethink the right to build. In his words: "We know, perfectly well that, if it is impossible to insure your house against flooding, in a zone that is subject to disaster, behavior will change. We have to decide about the nature of one's right to build in a zone that is threatened. Whether or not, we as a nation, want to subsidize the delights of living by the shore against the risks of disasters that will come more and more frequently." 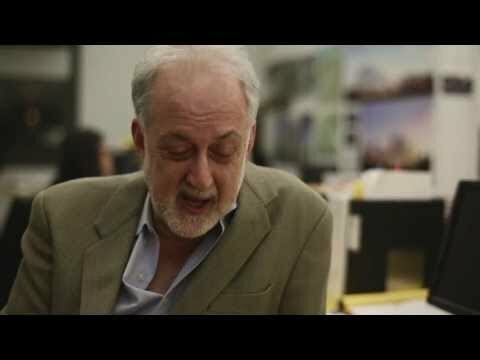 Tags: #Urban planning, #Michael Sorkin, #Open Minds video, #Video, #Hurricane Sandy, #Hurricane Katrina.